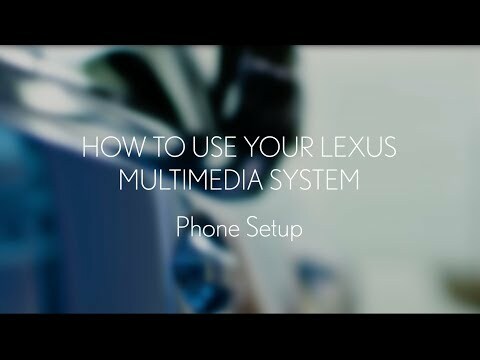 After carefully listening to valued customers, Lexus are pleased to unveil a suite of 'how to' videos on their latest Multi Media system. Giving users an introduction to the system and then more detailed guides on navigation, pairing phones, the audio system and connecting to the Lexus Wi-Fi Hotspot. Lexus Premium Navigation, the brands flagship multimedia system, is now available on all new Lexus models in the UK. The system comes in the form of an impressive 10.3-inch monitor, designed to sit high in the dashboard for premium positioning meaning minimal distractions. Lexus Premium Navigation also boasts some of the best sound quality around, provided by a Mark Levinson surround sound system, along side many other sophisticated features. With a focus on safety, many functions of the Lexus Premium Navigation system are controlled easily by either direct access buttons, the innovative remote touch interface, located in the centre console easily within reach, or voice activated, so you don’t even have to take your eyes of the road to use this practical system. Due to the new, broader on-board screen, Lexus can now offer a split screen functionality so that two features can be viewed simultaneously, meaning you can keep your navigation on screen while changing the music, or switching driving modes. If you are struggling to get to grips with the extensive features available to use in your new Lexus, the below videos were created to ensure you can make the most out of your in car multimedia system.